Drawn-out Instagram and Facebook captions, lengthy blog post, now talks of Twitter expanding their original 140 characters to possibly 10,000 characters is becoming a thing of the past. As you read this post, you probably aren't planning to spend most of your browsing time trying to figure out what you want to know. Between your favorite website, Snapchat, Facebook, Twitter, Instagram, email and YouTube, you're pretty busy. Let's be honest, people these days just don't care to stare at millions of words just to form a general opinion. "I think it starts more broadly. For some creating a just an app, that's cool. When I thought about this, I wanted to create a company. I wanted to solve a problem the best way I could. I found solving a problem could be capable through an app. When you think about solving some of the world's biggest problems, some of the world's greatest entrepreneurs are doing that with a product, a website, an app or equipment. When building an app, you have to learn the language and servers or partner with someone who does. It starts with finding some of the world's biggest problems and going from there." 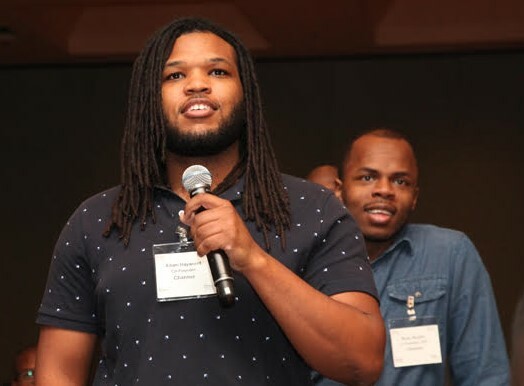 Trusting his talents were superior, but not enough to totally create the vision he wanted, so Rucker elicited the partnership of COO Adam Haywood and Design Lead Herry Makker to begin the process of creating Charmer. The team now holds eight members including a marketing analyst, public relations analyst, and a development team. After closing a few major investment deals out of California last week, Charmer is set to launch within a $250 billion industry January 18, 2016. The Charmer team has been growing subscriber anticipation since announcing the launch date. "We're going at a much faster pace now. People are excited, reaching out to us through our Facebook page. We're ready and excited about launching, and ready for everyone to partake in this experience. We have this club we've created called the Birthday Club. We're encouraging people to say happy birthday to their friends and family as well as encouraging sign ups for the Charmer app. With those individuals we're calculating and analyzing all of this data and will select a person to win $333 because we deal with 3's.We want to let the product speak, we want to let the people speak. We also have a new website launching," Rucker shared. The old saying "third time's a charm" reign's in Charmer's name and concept. According to Haywood "humans have the greatest creative output with restrictions. Our brains work better with less and short formats. We are able to group things in our mind of 3's or 4's. We value our time sometimes more than we value our money, so Charmer is about creating a simpler experience." "It's a common misconception that you need a significant amount of capital to start a business. Really all you need is a particular idea, become knowledgeable and partner with someone to begin building. Once you built up enough to have something worth showing that's when you start to attract the funds. I'm not sure if anyone who doesn't know you feels comfortable giving you large amounts of money with nothing to prove for it. Some do attract large amounts of money because they have a good track record or they have given an investor a high return in the past. There's tons of ways to raise money, like crowd funding. At least raise enough money for your MVP (minimum value product). With your MVP you can share it with people, see how they respond to it and see if it's something worth pursuing." 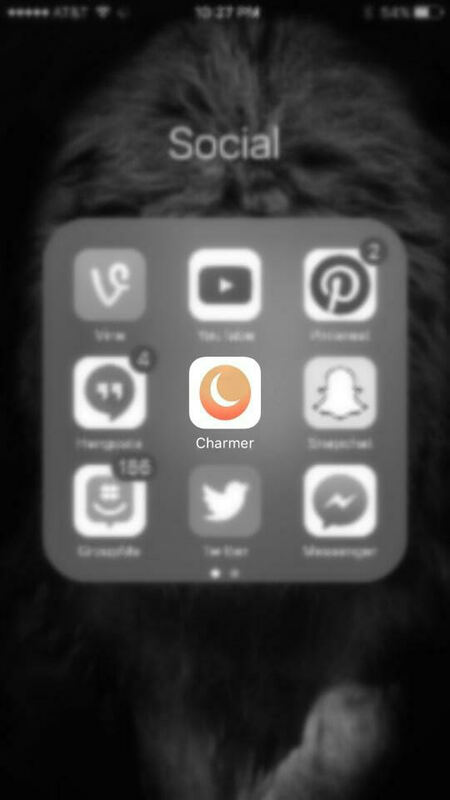 Charmer will be available to all Apple (iOS) users January 16th completely free! For more information on Charmer and it's features visit the app's website or follow their social media pages for updates. You can also read more about Charmer here.